Looking good at a dinner party could never be easier. Be the guest who brings the wine! Not only that, but be the guest that brings it in a fashionable personalized wine tote! You'll never look better arriving at your friend's place. 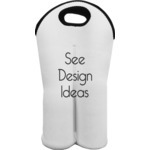 Choosing the perfect customized wine tote for you is a breeze. Our single wine tote bag is the perfect thing for a small dinner party where you only need one bottle of wine. It also works lovely as a host or housewarming gift! 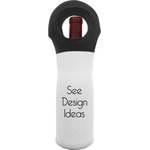 The double wine tote is great for going to a larger outting where you need to bring a little extra wine. Both of these totes are made of neoprene, which gives a less flashy vibe. The leatherette wine tote, on the other hand, screams upper class. This is the perfect way to really impress your friends. 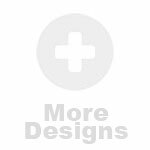 Be sure to take a look at our bar and wine tool base products as well. 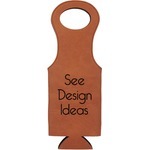 You will find amazing products like our bottle stoppers, bottle openers, and even a 4 piece wine tool set. You may also be interested in our personalized glassware that you can find in our bar and wine section.